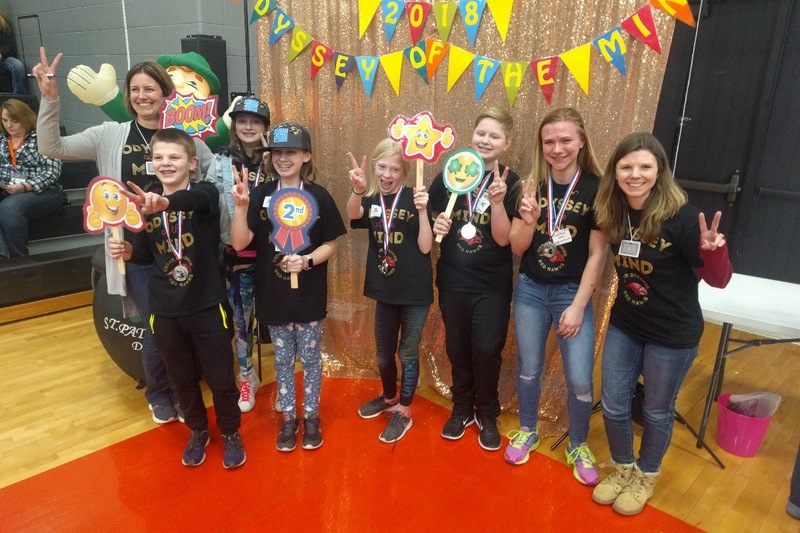 Hundreds of hours and glue sticks later, this Odyssey of the Mind Division 2 team from Cedar Springs Public Schools is moving on to WORLD FINALS!!! Only the top two teams in each Division and in each of the five problem areas are able to go to Worlds. It was such a huge honor to take 1st place at Regionals and then to place 2nd at State! This year, World Finals are at Iowa State University in Ames, IA. This team needs your help in raising enough money not only to cover the $3000 registration fee for the tournament, but also to help offset the cost of travel, lodging, and meals. Please consider showing your support for this AMAZING group of hardworking, talented kids by making a donation to get to Worlds! With only 12 more days before heading to Iowa, excitement is growing! Once again, THANK YOU SO MUCH for your continued support for this team!!! They are getting so close to reaching their fundraising goal--less than $2,000 to go! 6. Stay tuned for more to come . . . THANK YOU. THANK YOU. You all are amazing! !